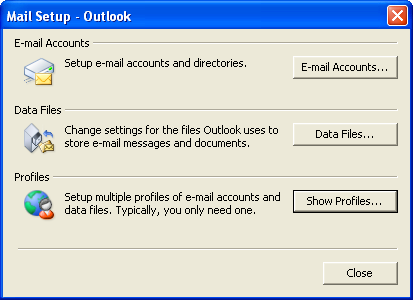 During this account setup, you can either create a new Outlook profile or use your existing Outlook profile. 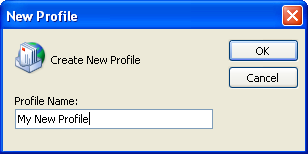 A profile will keep your email accounts separated and you will not be able to access more than one profile at a time. You must close Outlook to access different profiles. More information on Outlook profiles can be found here: http://office.microsoft.com/en-us/outlook/HA011471581033.aspx. Note: If you already have a Microsoft Exchange account setup in your current Outlook profile, you must create a new profile. 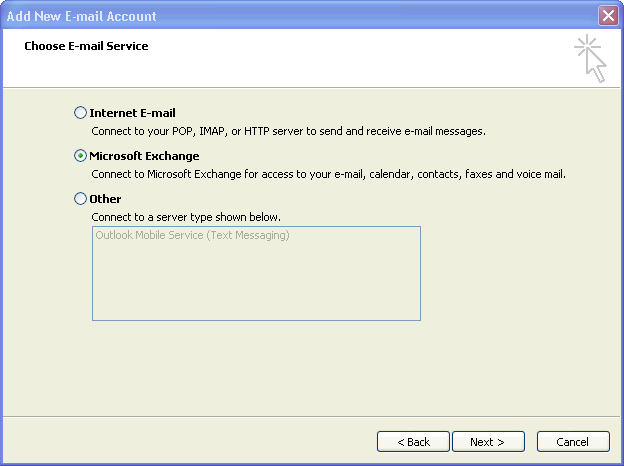 Outlook only supports one Exchange account per profile. If you cannot locate the Mail icon within your Windows Control Panel, please try the following steps. In the Control Panel navigation, to the left of the white window, click Classic View. If Mail still does not appear as an individual icon, please look for it under Show 32-bit Control Panel Items. Click the ‘Show Profiles’ button and press ‘Add’ for a new profile. Tip: If during the following procedures you encounter a popup window that asks you to login, simply press cancel. You may get an error message or additional login request, press cancel again. Please use your Primary Email Address for the Username field when starting Outlook and prompted for login credentials. You can save your login credentials after the profile is created: How do I save my Outlook Password? Choose Add a new Email account and click Next. Follow the steps 3-12 outlined below. Ignore the Auto Account Setup Page, click on the check box next to ‘Manually configure server settings or additional server types’ and then click Next. Choose ‘Microsoft Exchange’ and click Next. 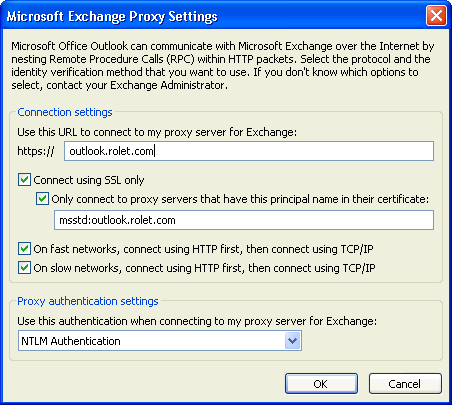 Specify your Exchange Server name, e.g. 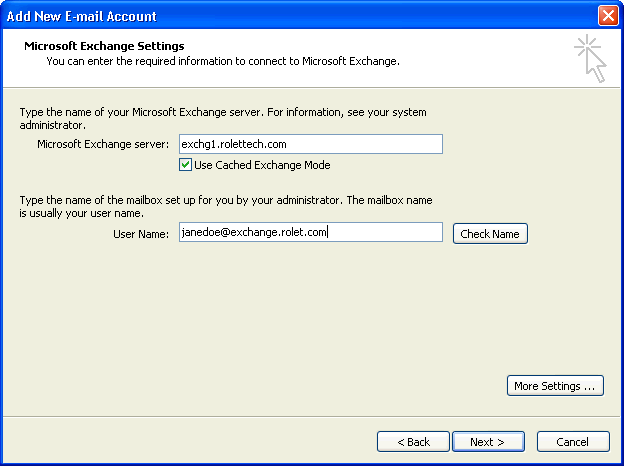 exchg1.rolettech.com and type your Exchange Mailbox Username. 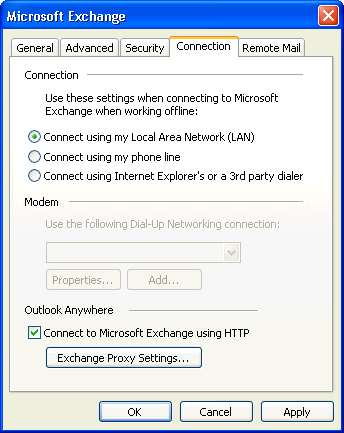 Also make sure that the box next to ‘Use Cached Exchange Mode’ is checked for Offline use. If prompted for a password, click Cancel. If promoted with an error, click OK or Cancel. Enter Connection Settings as they’re displayed below. Make sure that both ‘On fast networks…’ and ‘On slow networks…’ options are checked. 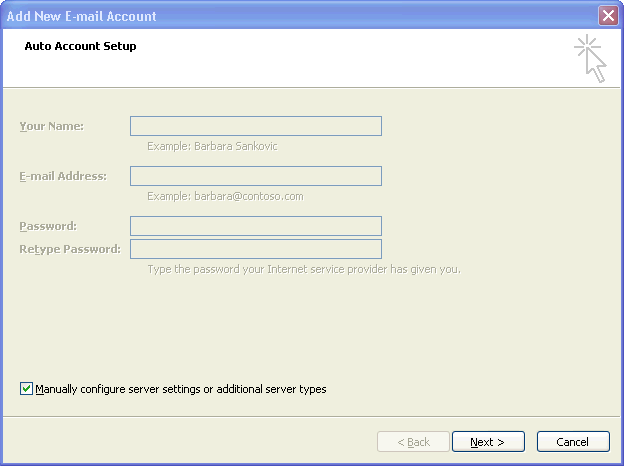 If you wish to have Outlook save your password, please follow the instructions in our KB Article. Press OK, Apply, OK, Next and Finish and OK to save changes.